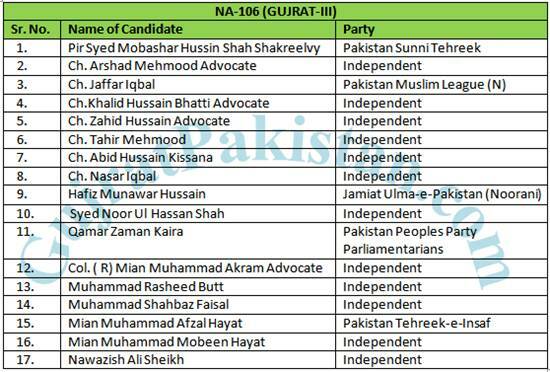 There are total 4 seats of MNAs in National Assembly and 08 seats of MPAs in Punjab Assembly, for District Gujrat. 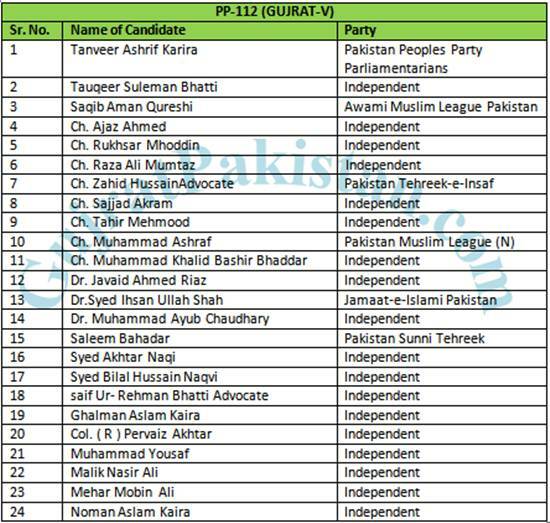 For General Election 2013, 72 candidates are contesting for four seats of National Assembly of Pakistan while 167 candidates are contesting for eight seats of provincial assembly of Punjab. 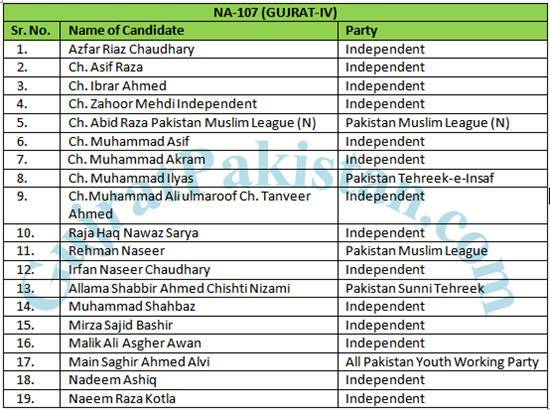 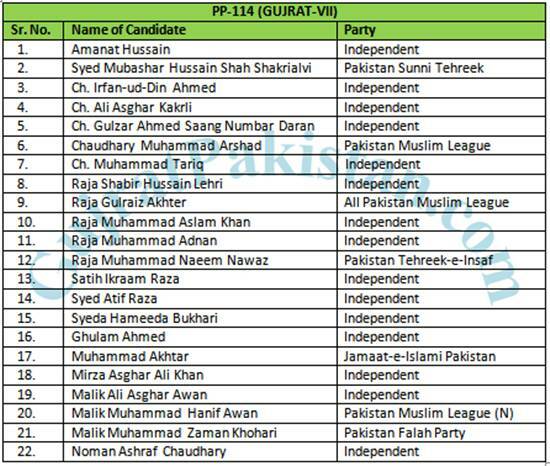 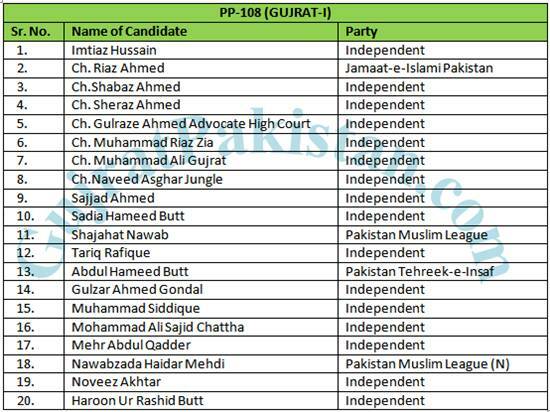 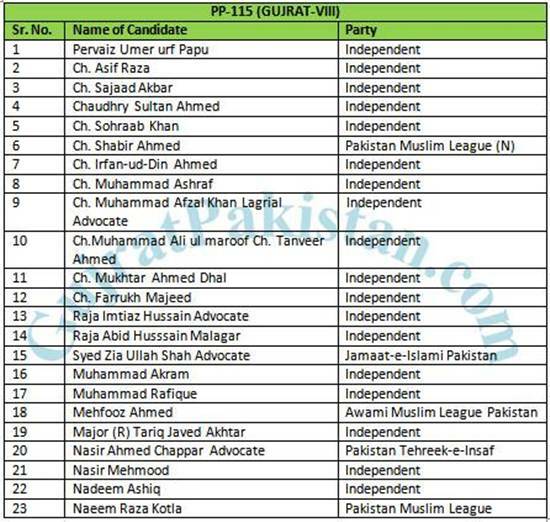 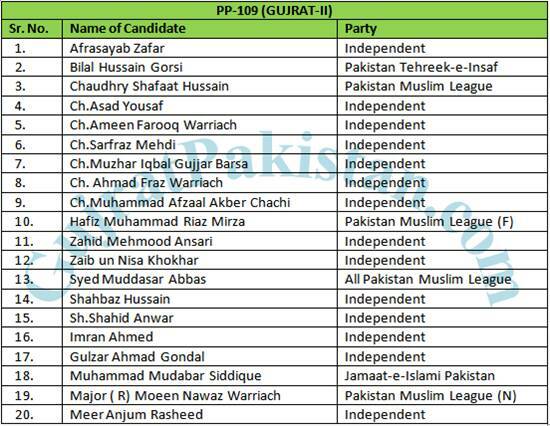 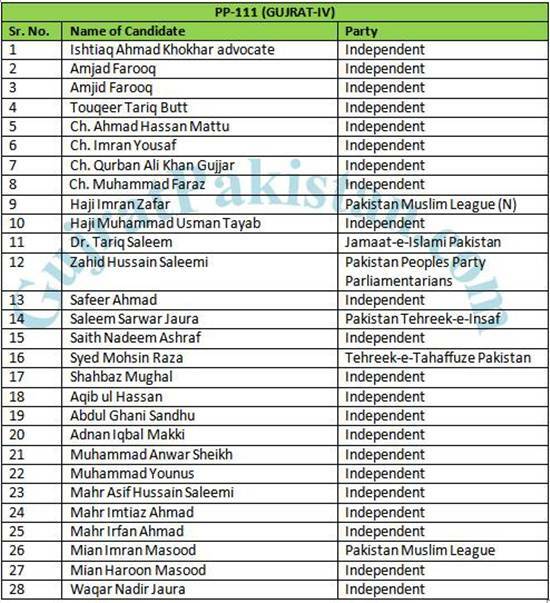 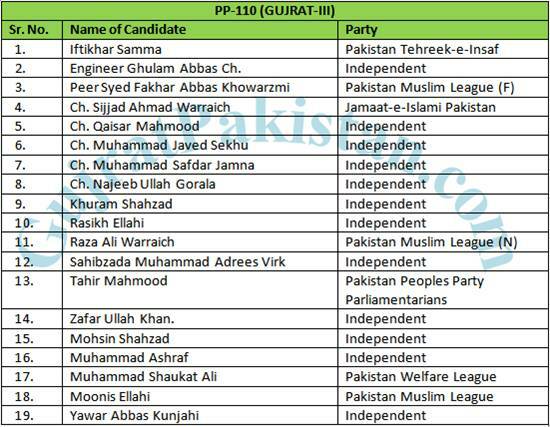 Some of these 239 belongs to different political parties while remaining are participating as independent candidate. 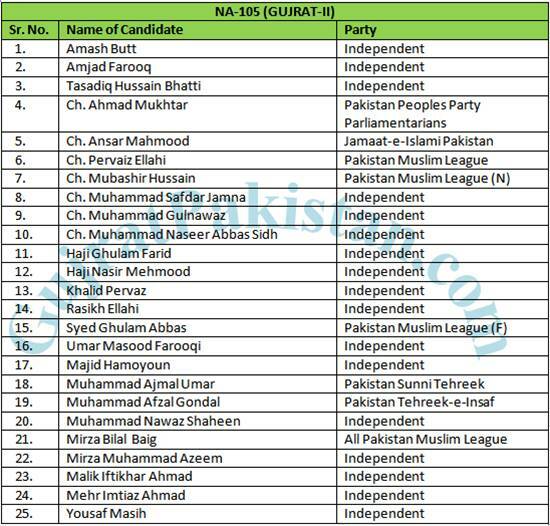 Haneef Haidery kisi post par nahi larr rahay elections?